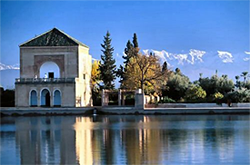 In this section, you will find important information for those of you that are planning to travel to Morocco alone or in group. If you are just investigating about Morocco to travel there for the first time, this section is also really useful for you! Below, you will find links to all the information needed to get along in Morocco with no problems. Markets and bazaars in Morocco Personal hygiene and public bathrooms in Morocco.